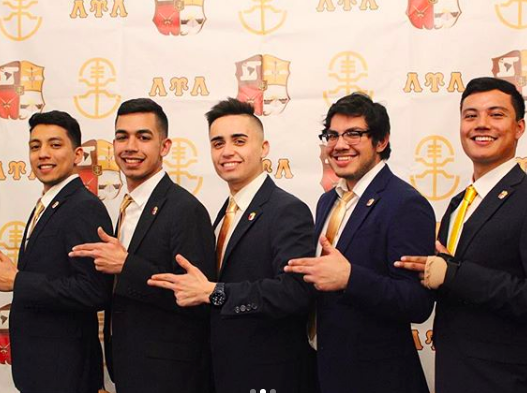 Undergraduates | La Unidad Latina, Lambda Upsilon Lambda Fraternity, Inc.
La Unidad Latina, Lambda Upsilon Lambda Fraternity, Incorporated recognizes the importance of working collectively for a common purpose. We focus on developing our Hermanos, meeting the needs of our respective communities, and advancing our goals and values. Most importantly, we strive to foster an environment in which every Hermano can be himself and relate to others who share similar backgrounds and experiences. Since 1982, LUL has helped foster the personal, academic, and career development of our Hermanos. At the undergraduate level, we aim to formally unite student leaders who seek to maximize their time academically, socially, and professionally at universities across the United States. With eternal brotherhood as one of our core principles (La Unidad Para Siempre), we work relentlessly to provide each of our Hermanos with a sense of familia: a place which he can truly call home, a place where he will be respected and supported. In doing so, La Unidad Latina, Lambda Upsilon Lambda Fraternity, Incorporated redefines the concept of Brotherhood.